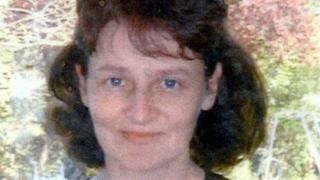 A police search of a field near where a woman went missing 17 years ago has found nothing. Wiltshire Police said they were keeping an open mind when asked if the search was connected to the disappearance of mother of four Linda Razzell, in 2002. Mrs Razzell was last seen on her way to work in Swindon and the 41-year-old's body has never been found. A search of a site near Pentylands Lane in Highworth led to "no items of interest" being found. During the search, which took place over the weekend and earlier this week, officers made clear they were not linking the search to a specific case. Det Supt Jeremy Carter said officers with sniffer dogs began work in a small area of the park last Friday, after information was received from a member of the public. "This information was passed to us from a concerned dog walker in good faith and was acted upon appropriately and thoroughly," he said. "We have meticulously searched this area and concluded that nothing of interest is located there." Mrs Razzell went missing after setting off from her Highworth home to work at Swindon College.